This duty belt is our take on a gunfighter belt. 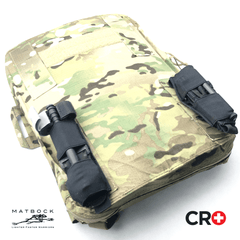 Designed to accept vertical and horizontal molle attachments for medics that work off their body. 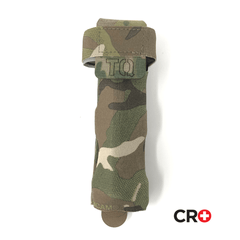 Check out the CRO Tourniquet Cover in the pics as an example! This duty belt is an inner/outer adjustable design (so basically a one-size-fits-most). 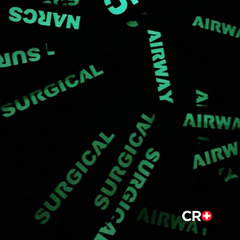 The inner belt is lightweight and pure comfort. The outer belt features a cobra buckle (final design will have D-ring Cobra). The laser-cut vertical/horizontal molle is perfect for our new Slim Bleeder kit. 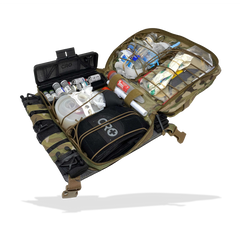 Attach everything you need to carry, and store in your locker when you aren't using it with our new inner/outer design. 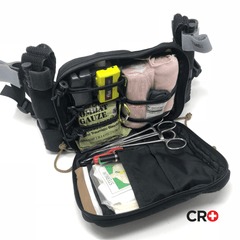 Sturdy construction, hand stitched, specific for medics.